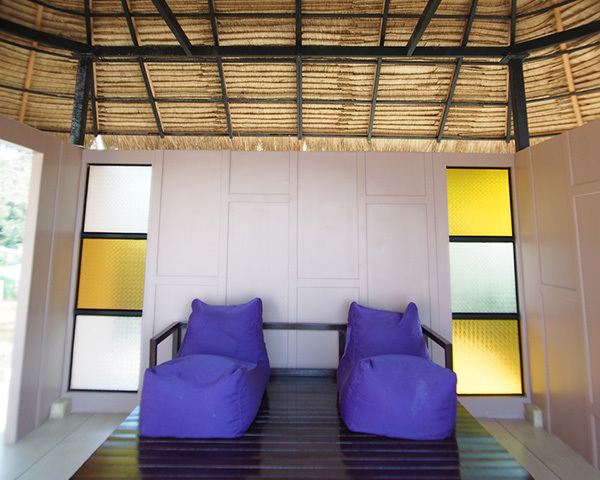 Room with terrace size 115 sq.m. 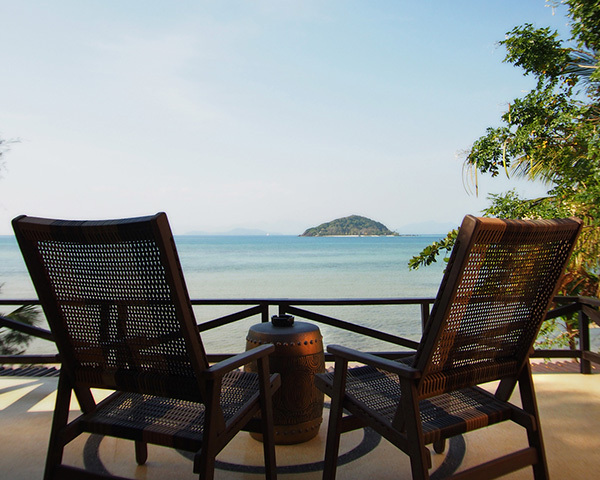 Feel the romantic beachfront moment with someone special on your hoilday. 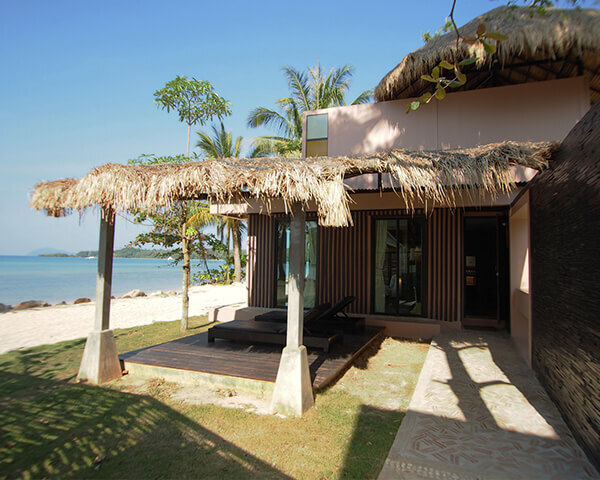 Seavana Beachfront Suites offers you a romantic ambience of the ocean while lying lazily on a comfortable king size beds. 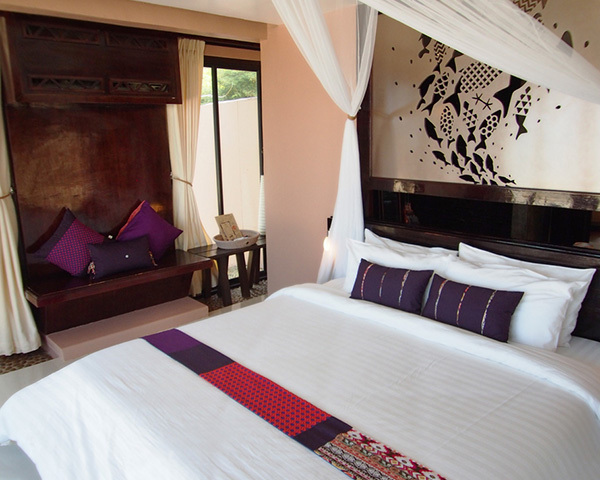 The decoration and details give a natural, friendly and refreshing atmosphere. 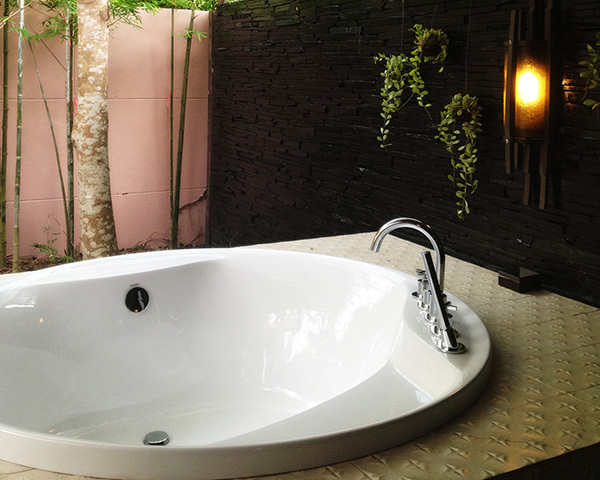 Enjoy a more relaxing bath with an indoor rain shower and an out door round spa bathtub in the garden. Make the best of your night under the moonlight on the peaceful roof terrace. 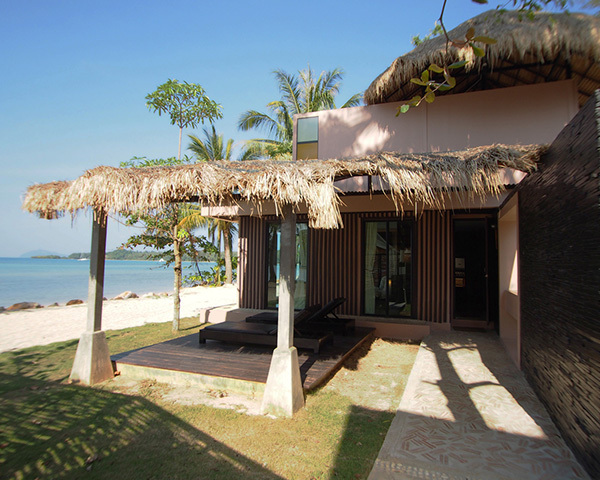 These superb beachfront bungalows are also available at attractive price! *** Looking for Family units (3-5 person)? 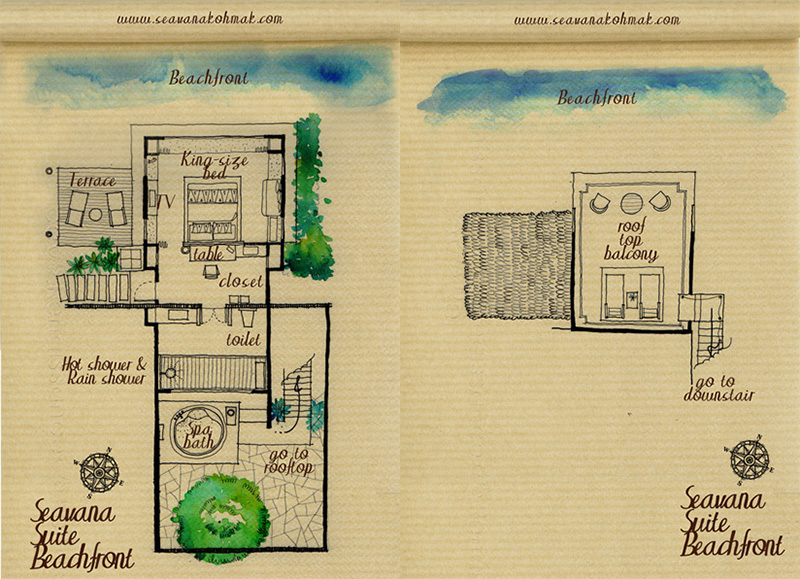 We suggest you to reserve 2 units of Seavana Deluxe beachfront, both units are detached in one bungalow. Children 0-5 years old sharing same beds with the parent are free of charge. 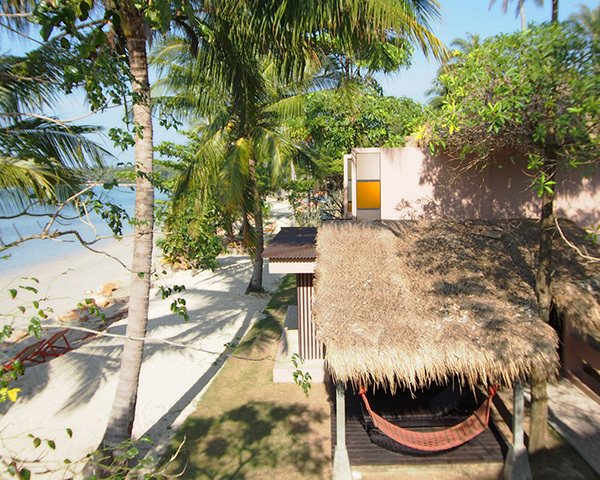 Children 5-10 years old sharing same beds with the parent are 300 THB/child/night include breakfast. 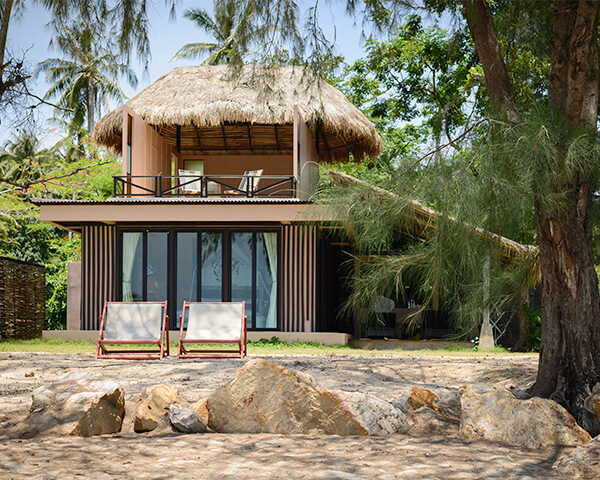 Seavana Beach resort is a locally family owned private resort & beach. We delivers a friendly service for you to LIVE LOVE and LAUGH. We will try our best to make your vacation as pleasant. Easy amendments with no extra charge. Any special request will be direct to us.